Pecans are a nutrient-rich food, providing significant amounts of fiber, thiamine, copper and manganese. While these nuts also contain a small amount of omega-3 fatty acids, which are components of fats in foods that may help lower your risk for heart disease and some forms of dementia, pecans aren't a good source of this nutrient. 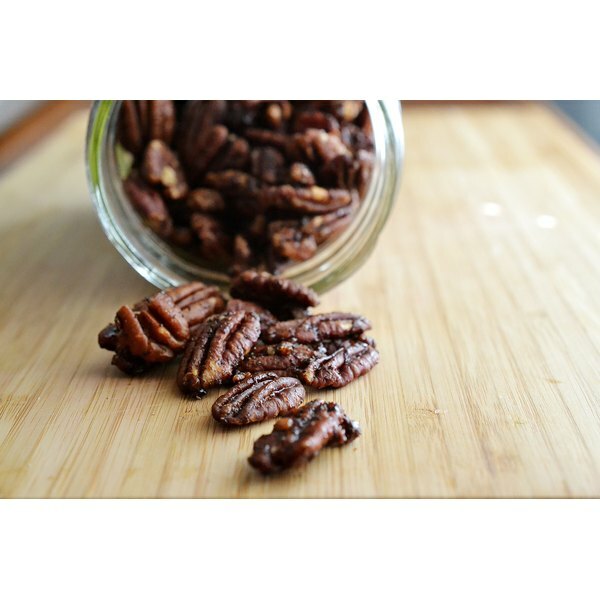 Each ounce of pecans contains only 0.3 gram of omega-3s in the form of alpha-linolenic acid. This is just a drop in the bucket compared to the recommended daily consumption of 1.3 to 2.7 grams of ALA per day for every 2,000 calories you eat. Walnuts are a better option, with 2.5 grams of ALA per ounce. Other nuts, such as hazelnuts, cashews, almonds, pistachios and peanuts, don't provide any ALA.
ALA, the omega-3 fat found in some nuts, may not have as many health benefits as the other two types of omega-3 fats -- eicosapentaenoic acid, or EPA, and docosahexaenoic acid, or DHA -- because your body needs to convert ALA to EPA and DHA before it can use it, and this conversion isn't very efficient.